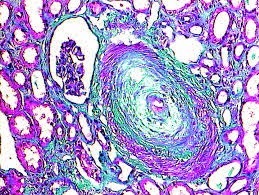 Many nephrologists in India very rarely come across a patient with Atypical HUS. For many patients, diagnosis with this disease becomes an endless journey of uncertainties. So little information is available on this disease that doctors hardly have any resources to look towards to be able to manage their patients well. Prof. Tim Goodship from the Institute of Genetic Disease in Newcastle University, UK has been one of the leading researchers on this disease. He has been working on this disease for the last twenty years! A lot of the authoritative papers that are referenced by doctors around the world are authored by him. EURORDIS and NORD, organisations that have been doing fantastic work in the area of rare diseases have setup a website called rareconnect.org that aims to bring together patients, doctors and researchers of various rare diseases and improve interaction, funding, policy making and support for patients hit by rare diseases. rareconnect.org recently organised a webinar on aHUS with Dr. Goodship that has some really great information on this disease and some latest protocols. Anyone with an interest in this disease must watch it.